Our friends Joel and Laura have an adorable little girl. Really, she is. I’m not just saying that because she’s little and chubby. But that isn’t the point of this post. The point of this post is that Joel and Laura decided to teach baby Abigail sign language. We found out about this last year, when they were here visiting Joel’s folks for Christmas, and I was…what’s the word I’m looking for here? Impressed? Surprised? Taken aback? 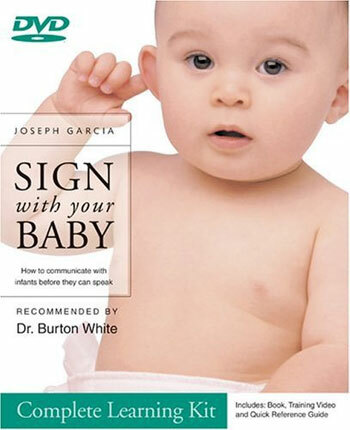 Well, whatever, what I’m trying to say is that I’d never heard of teaching a baby sign language before. When we found out Leah was pregnant, I started looking into doing the same thing with our little bean. Turns out there’s a whole bunch of people doing this, for the very simple reason that a child can communicate long before he can speak, and by giving him the tools to tell you what he wants to say, you help to cut down on a whole lot of frustration (both the child’s and your own). Any parents out there who have gone the sign-language route with their children? Programs you’ve looked into? Stuff you’ve heard?